Hello and Welcome to Barking Hen Jewellery. "I am Tamara, lover of everything beautiful, mother hen to 2 girls, 2 guinea pigs and Jet the black Labrador pup. I graduated from Art College 20 odd years ago and immediately set up a jewellery workshop at a Craft Centre in Clevedon, Somerset. Over the years, I have worked within the jewellery industry and taught silver jewellery making. Then in Dec 2015 the lure to make again was too strong, so I re-set up my workshop"
Everything on here is designed and hand made by Tamara in her little workshop in Chippenham, Wiltshire. Using traditional silver smith techniques partnered with a flair for the unusual, Tamara's pieces has a dlightfully quirky British sense of style. Her designs lay tribute to our wondeful British countryside and such is the care, focus and detail lent to all her pieces, no two are the same. Tamara has had exhibitions in Slimbridge Wetland Centre, Gloucestershire and Chippenham Museum, and won a Muddy Stiletto Award for the best Jewellery Store in Wiltshire in 2017. She also had her story featured in an Amazon Best selling book "Mumpreneur on Fire 2" in 2018. Tamara also volunteers her time running after school jewellery making clubs to primary school children. 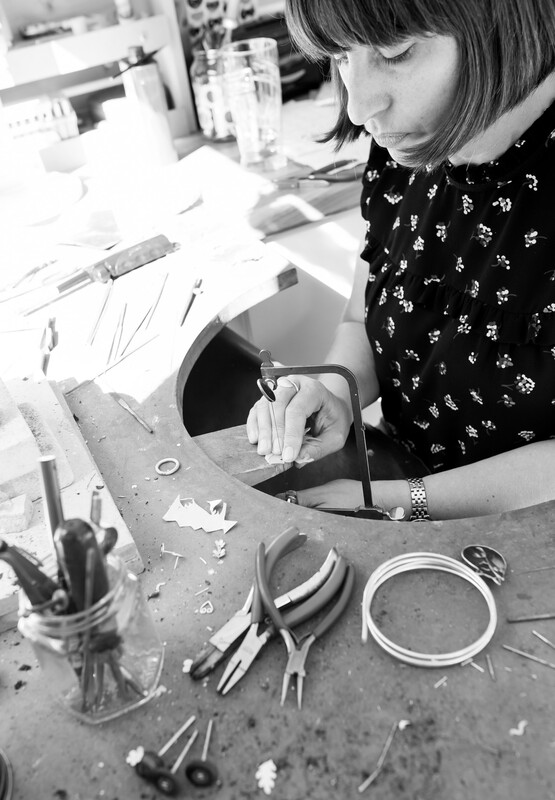 Tamara runs workshops in Wiltshire teaching her students to make their own piece of jewellery in silver & copper - "it was a lovely relaxed workshop and made a lovely break from everyday life!". "Please contact me if you would like to talk about commissions or variations to any of my pieces - that's the beauty of buying handmade direct from the maker!"